At-home dental care is just as important as what we do here in the office. To help optimize your oral hygiene, our cosmetic dentists have provided recommendations for dental products and supplies you can use to help keep your smile bright, healthy, and looking its best. The following items are just a few examples of brands and products you can trust, and for additional suggestions you are always welcome to give our friendly and knowledgeable team a call. 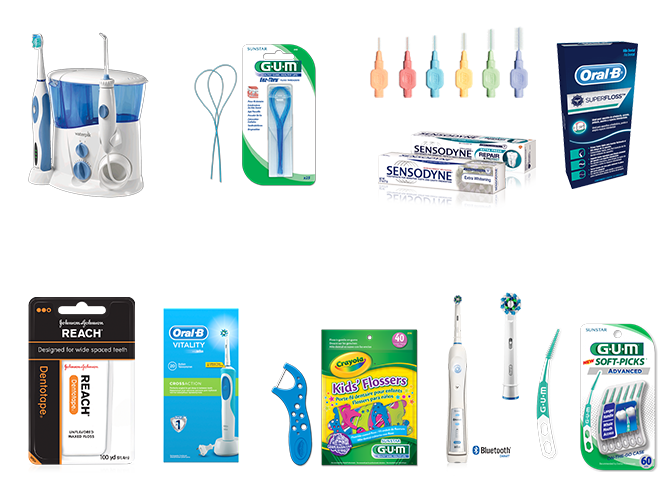 In addition to toothbrushes, toothpaste, floss, mouthwash, mints, and gum, we can also help you find specialized goods based on your individual needs and goals. Talk to us today if you have any questions or if you would like to learn more. The American Dental Association (ADA) recommends that you replace your toothbrush approximately every three to four months. The following products can be found at your local grocery store or online at Amazon.com. Xylitol helps prevent cavities and is safe for diabetics. These products can be found at your local grocery store or online at Amazon.com.